On Tuesday the worst of the hurricane had passed, the power was out, and the yard was covered in branches. I decided to use the time to create. After collecting a variety of small oak twigs, I rigged up a loom from scrap corrugated cardboard and I went to work. 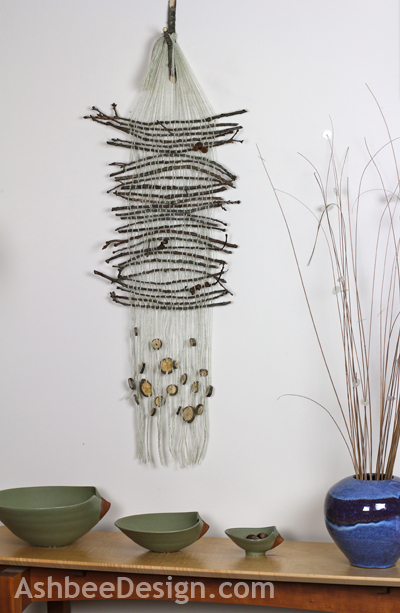 The wall hanging is completed and here is what I crafted from the debris left behind the fury of Sandy. 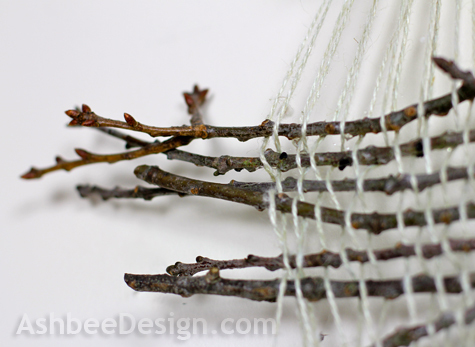 I took oak twigs, the ones from the top branches, and wove them together using a warp from saved weaving yarn. It was a simple over-under weave and the character of the twigs kept it lose. 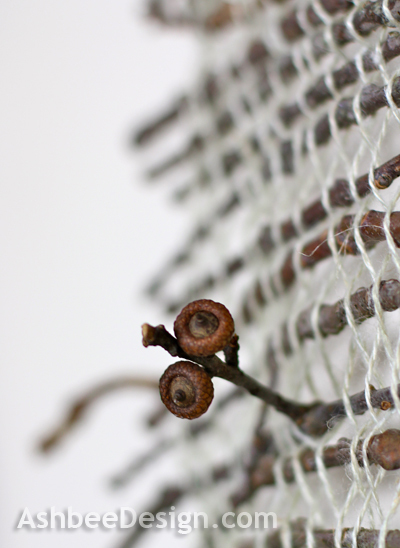 I handled branches that had baby acorns attached gingerly so as to include them in the weaving. 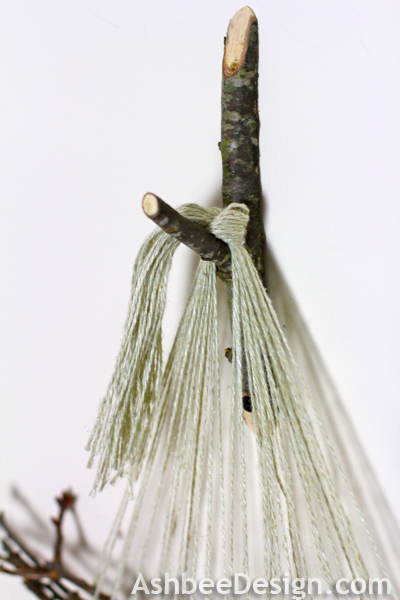 After finishing the warp with twigs, I removed it from the makeshift loom and added oak branch slices to the bottom strings. My first project from the branches left behind by Hurricane Sandy. I also took a complete series of step-by-step photos as well and I will combine them into a tutorial to share tomorrow. In the meantime, my thoughts stay with all the folks still working to get life back to normal. My power was back on Wednesday. Others aren't as lucky. Previous posts of interest: I have done a lot with branches! Branches is the Round • Wreathes, Etc. Wow! Marji, that is SO beautiful! Just incredible. You turned destruction and chaos into something ordered and beautiful- I love it. Thanks Bettsi, It calms the soul to create at a time like this! I am glad to hear that you are safe and turn a negative into such a terrific positive. Thanks Merry. It helps to have a craft supply stash when the power is out and the stores and roads are closed! Nice, A beautiful reminder of nature's worst and best! Thank you. I am pleased with the final project. And it will provide memories and a story. This is so gorgeous! I'm pinning it and hope to give it a try when I've cleared a few other projects from my to-do list. And I also look forward to looking at your other branch projects... You sure do have quite a few! 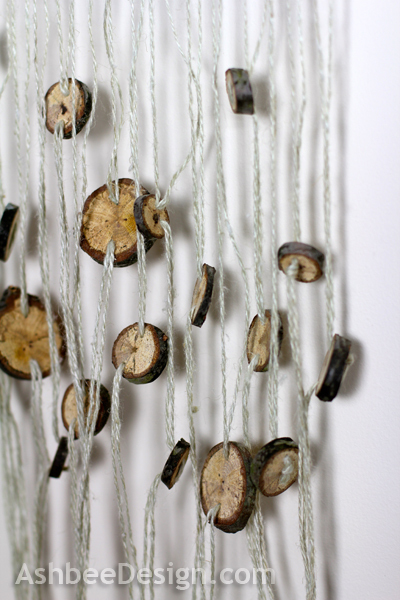 As I mentioned in my post I seem to be drawn to twigs, branches and trees. I keep doing things with the endless supply I have here. 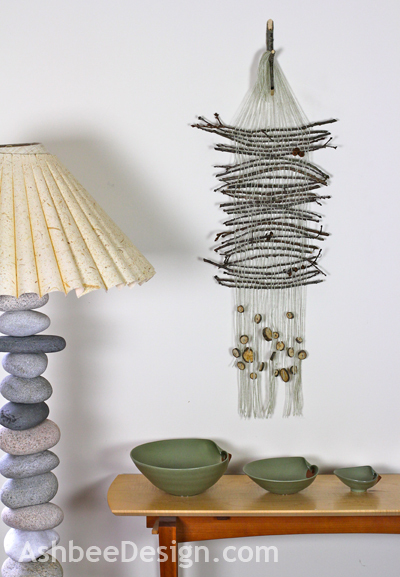 Love the idea of a branch holder! So glad you and your family are safe. It isn't an original idea. I have a bunch of them in my pinterest board on branches. It was a perfect hanging solution for this project and quick to do! I was so moved by your post and beautiful artwork. Thank you so much for sharing your project on the Inspiration Board at Homework. I featured your wonderful creativity today!